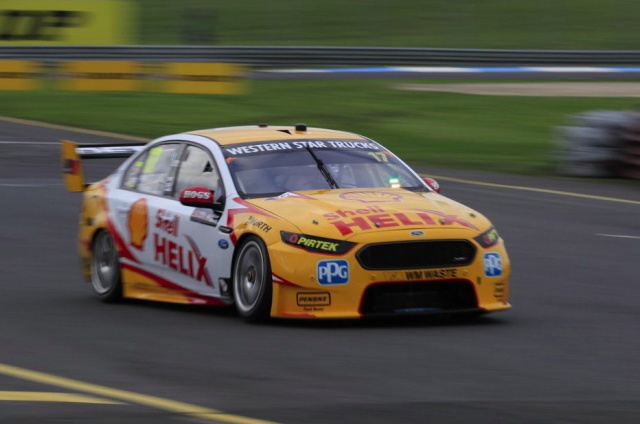 Tony D’Alberto completed a strong day for DJR Team Penske at Sandown by topping the third practice session. Driving Scott Pye’s #17 Ford, D’Alberto’s 1:09.17s best was just 0.04s shy of team-mate Fabian Coulthard’s time from this morning’s single primary driver practice session. D’Alberto, who had been second in Practice 2, set his best time of the final hit-out with eight minutes remaining. Practice 2 pace-setter Steve Richards fell just 0.06s short of D’Alberto in Practice 3 ahead of Steve Owen, Warren Luff and Luke Youlden. Dean Fiore was sixth in the leading Nissan from Alex Premat, Jonathon Webb, Paul Dumbrell and James Golding. All of today’s running was completed in cool but dry conditions, with a brief red flag in the second session the only stoppage. A final practice session will take place tomorrow morning ahead of qualifying and two sprint races to set the grid for Sunday’s Wilson Security Sandown 500.